Have you heard about Google Play Store optimization techniques? In this post, we will learn play store optimization to increase visibility and volume of downloads from the store. 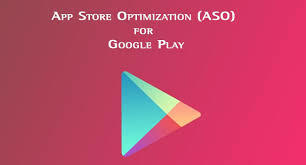 Why Google Play Store Optimization? 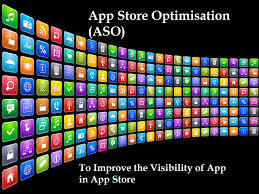 App store Optimization includes optimization of a mobile app to get maximum visibility and highest conversion rate. This optimization is not only about gaining traffic but also about conversion. 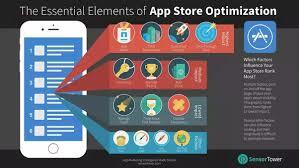 Let us have a glance at the app store optimization strategies. Before implementing app store optimization strategy and publishing the app you need to make the analysis. The best strategy in the starting is to try for long tail keywords. Even though it has less traffic than a head or mid keywords, it has much better chances to show up in the results. Check out for the keywords your competitors are using and also read the reviews of competitors app. While implementing app store optimization strategy app’s on-metadata and off-metadata also takes place. On-metadata factors include title, developer name, description, icons, screenshots, feature graphic. And of metadata includes installs volume, ratings, user reviews. Optimization process of the app store never stops since the market is changing they always need to be updated about the market situation. Keep track of keyword rankings, the volume of installs, top charts rankings, ratings, and reviews. Keywords in URL has an impact on search rankings. So include the relevant keyword in URL. Developer name: Developer name helps in ranking. So include developer name with relevant keyword. The title plays a crucial role in on-metadata factor. A title can include 50 characters in the App. Include brand name, keywords. Don’t forget to localize the app. You can add 80 characters for the description. A well-composed short description is the highlight and tries to include the focusing keyword on it. The description is an On-metadata factor that leads to search and conversion. The maximum length for the description in play store is 4000 characters. Include the focusing keywords in the description to improve rankings. Use bullets to specify the information in a clear way, also describe features of the app. Icon has a visual impact on the users. Include a striking, an attractive icon for the app’s appearance, since it affects the conversion rate. It doesn’t affect the search algorithm, but they have an impact on the conversion rate. Don’t give bare screenshots, provide explanations.